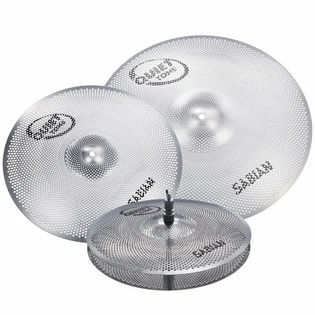 The Sabian Quiet Tone Practice Cymbals respond and feel like traditional cymbals but deliver a greatly reduced volume. Perfect for lessons, practice or any other time quiet cymbals are needed. From the edge, bow to the clearly defined bell the way these cymbals are designed the player won't have to change their technique.